The Jiffy Steamer website says its the world's most powerful hand-held steamer and while I haven't gotten hands on with every hand-held steamer out, I've got to agree. This thing gets the job done. The first time I used it was on a brand new shirt. I figured what better way to see what it's capable of than trying to get out the "factory package" wrinkles in a new dress shirt. After about five minutes, the shirt was ready to go. 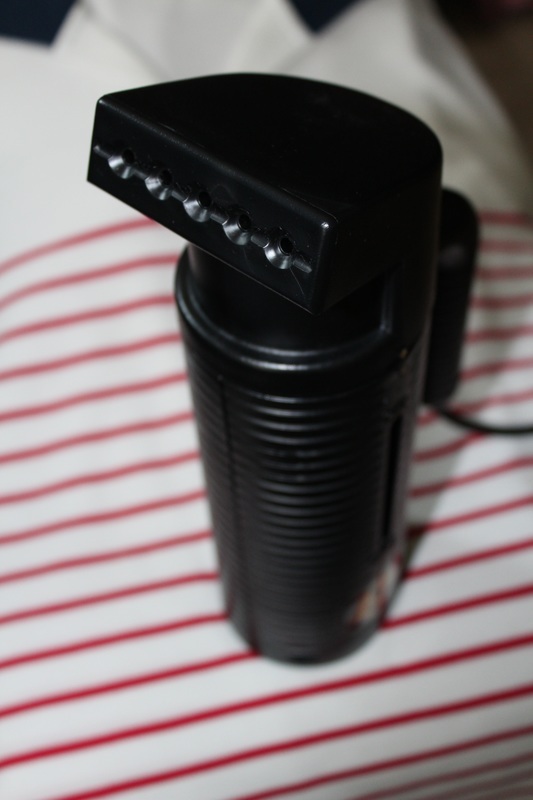 If you are a sharp crease in your clothes kind of person, then a steamer is most likely not for you but for most of my daily needs, this works. It's been great for getting those closet crunch wrinkles out of my suits. For a two-day trip, I didn't mind tossing this in my carry-on as the steamer itself doesn't take up much space - it's about as big as a shoe and weighs about as much. Seems like the electrical cord is actually responsible for most of the weight. Starting with it completely full, I got about 13-14 minutes of continuous steam out of it, which was more than enough time for a couple of suits and shirts. 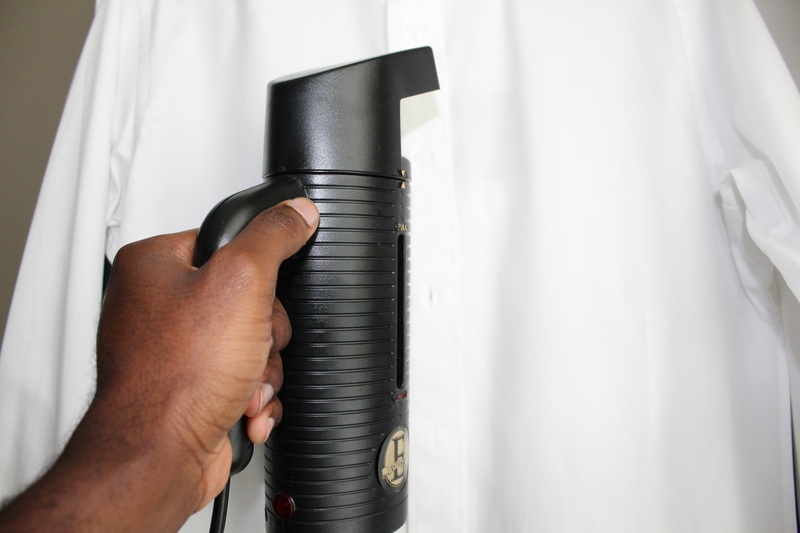 Check out and pick up the Jiffy ESteam hand-held here. For some time now, I've toyed with the idea of picking up a steamer for use at home but never quite got around to doing so. Seems the universe knew something was coming. A few weeks ago, I received an email from Thea over at Jiffy Steamer asking if I would be interested in checking out one of their new ESteam travel steamers. A steamer isn't one of those things that I would normally think of when packing for a trip, but with the amount of traveling I do for work picking up later, it made this proposition particularly interested. 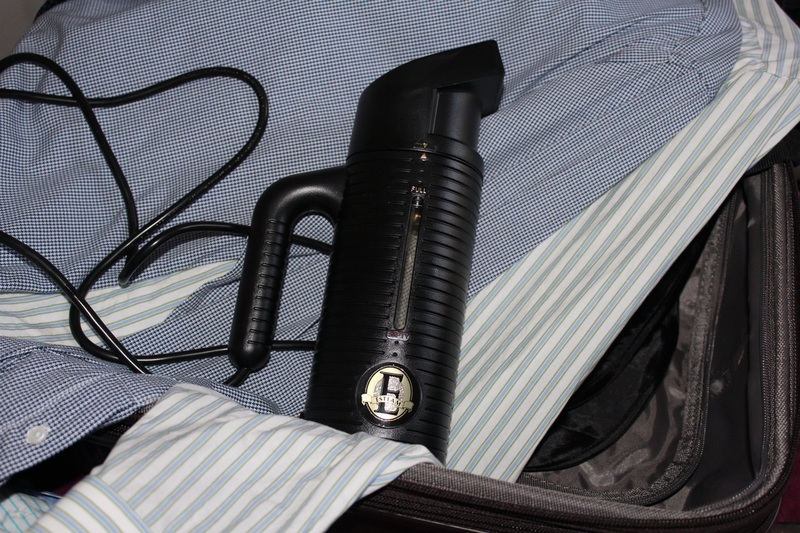 I was curious to see if it would be light enough to pack on business trips yet pack enough punch to actually get the job done versus using a hotel room iron or as I've sometimes resorted to; running the hot water in the shower, hanging my suits up and letting the steam do its thing. To make a long story short, I said yes. Here are my thoughts after about a week of use.